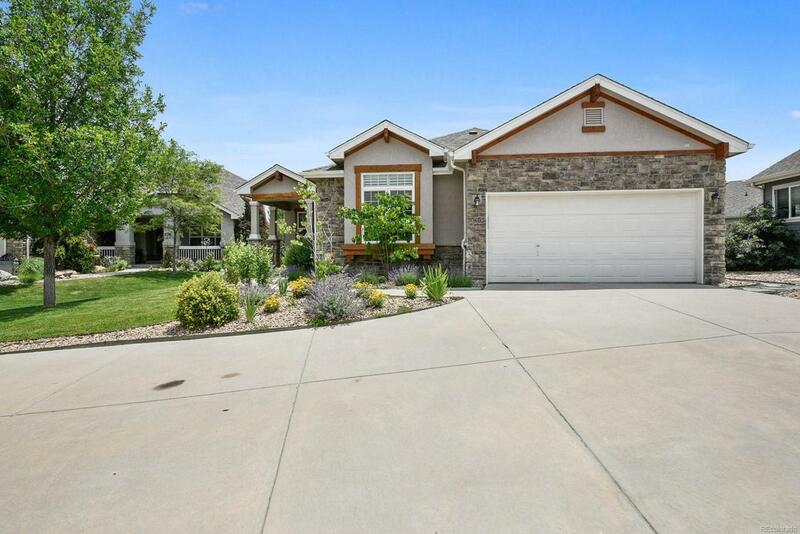 Wonderful ranch home backing to Legacy Golf Course! Bright open floor plan, kitchen island to gather around, lovely cabinets w/ ample storage and under mount lighting, all appliances included! Main floor master w/ private door to patio. 2 fireplaces for cozy Colorado winter! Home wired for sound. Finished basement w/ 2 bedrooms, 3/4 bath, wet bar, pool table, fireplace & storage! Stamped concrete patio to enjoy evenings backing to golf course. Low maintenance with HOA caring for lawn! Offered by Dakota Property Management Llc.